Sylvester Stallone is back in the gym preparing for Rambo 5, and still lifting more weight than people a quarter of his age. The actor posted a new training video on social media while wearing a shirt with John Rambo’s mugshot on it and listening to the hit Guns N’ Roses song “Welcome to the Jungle.” Sly is back and he’s getting pumped to share the new Rambo installment with the world, and by the looks of things, film is about ready to roll. Sylvester Stallone just recently wrapped filming on Creed 2 and co-star Dolph Lundgren revealed that he was initially skeptical about reprising his Ivan Drago role. Lundgren was worried that it would take away from his performance in Rocky IV, but admitted that it was Stallone’s writing that hooked him back in. Drago will appearing with his son, Viktor, in the film and it looks like Michael B. Jordan’s Adonis is going to be in for the fight of his life when the movie hits theaters this November. In addition to Creed 2 and Rambo 5, Sylvester Stallone is also working on another Expendables film, which is rumored to go into production after the actor wraps on the new Rambo installment. While the production of Rocky 5 seemed a little dicey for a bit, Expendables 4 might be an even bigger uphill battle, even though it could start filming as early as next summer. Actor Terry Crews says that he will not be a part of the movie because of threats from the producer over sexual assault allegations, and the only one to be officially on board is Stallone at this time. It’s unclear if Jason Statham and Arnold Schwarzenegger will be back. 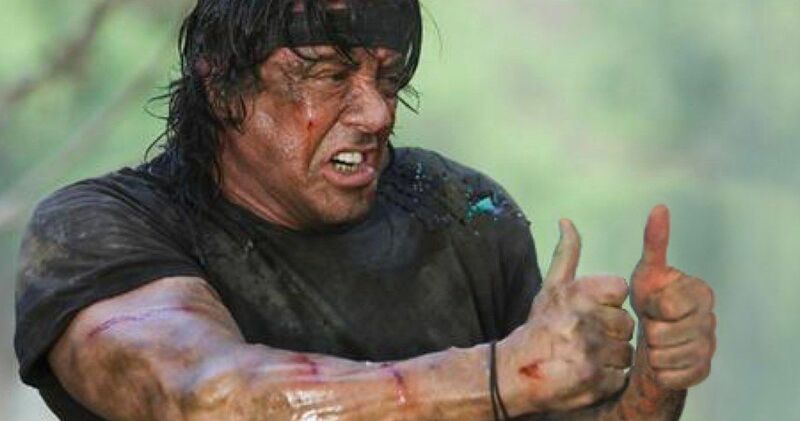 For now, it’s Rambo 5 time, and Sylvester Stallone says that he’s “Totally immersed in it! 100 percent,” which is obvious by looking at his latest training video. It’s hard to think that Stallone is anything but 100 percent immersed when he gets into a project. The actor/writer keeps fans up to date on the productions, even as early as the writing process, and he’s back at it again, diving head first into Rambo 5, directly after Creed 2. Hopefully we’ll get a filming update from Stallone in the coming weeks. In the meantime, you can check out the actor’s latest teaser video below, thanks to Sylvester Stallone’s Instagram page.